Whether you are a coffee connoisseur, a casual coffee drinker or simply crazy about caffeine or chocolate, you are sure to get a buzz at Edinburgh Coffee Festival which takes place at the Corn Exchange on Saturday 6th October. Last year, Edinburgh Coffee Festival brought together 3000 coffee lovers, 40 speciality coffee and tea stall holders and some of the best coffee cocktails, food and cake around, and this year plans are even more elaborate. Edinburgh is one of the top three cities in the UK outside of London for speciality coffee and so Edinburgh Coffee Festival is embracing the latest consumer loves and demands, with a heavy focus this year on sustainability and waste reduction as well as the event playing host to the Scottish round in the World AeroPress Championship. The World AeroPress Championship (a global coffee-making competition, designed to find the world’s best AeroPress brew) takes place in Sydney in November. Edinburgh Coffee Festival is honoured and delighted to have been chosen as hosts to a key heat, with the winner in Edinburgh going forward, all expenses paid, to the final in Sydney! Stalls by local roasters and coffee shops, cake makers, hot chocolate specialists, hot and cold street food, sellers of brewing equipment and more. Exhibitors include: Hidden Stag, Unorthodox Roasters, Ombar Chocolate, Gather & Gather, Thomsons Coffee, CakeSmith and more. A full list can be found on the website. Demonstrations, talks and experiments on tasting, technical skills and equipment. 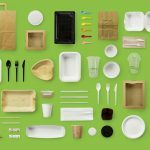 Vegware and Frank Green will once again help the Festival to be a zero-waste event. Edinburgh-based Vegware will furnish all exhibitors with fully compostable cups and dispose of waste sustainably. 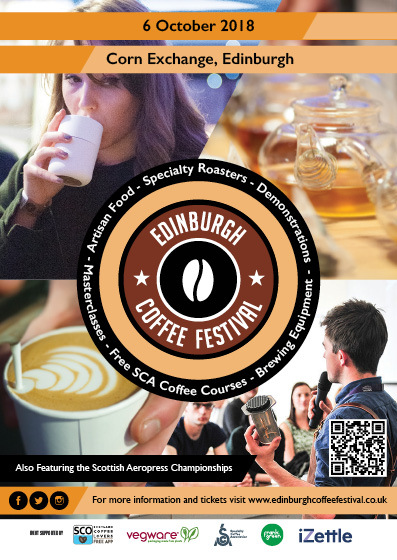 “At Edinburgh Coffee Festival we love hitting the right balance to ensure that everyone can come and enjoy the day, whether they are truly dedicated coffee enthusiasts or simply day to day coffee lovers who are keen to find out more about one of their favourite drinks. Children and families are extremely welcome, and we want to give every visitor the chance to try something new, learn something exciting and take home something delicious. Look out for ways to win tickets and other goodies in the lead up to the Festival as we share more on social media. Tickets start at £9 (£7 for students, Children FREE) and are available to purchase here.